While I grew up near a military air base (Soesterberg AB), there was many a day I skipped school and took my camera to take pictures of the resident United States Air Force (Europe) jets of the 32 TFS and visitors to the Dutch part of Soesterberg Air Force Base. All through the 1970s and 1980s I concentrated on military aviation, though there were large breaks because of other interests (e.g. 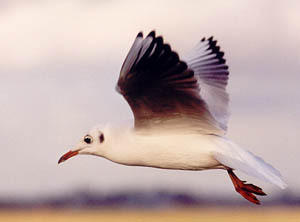 travel and different kinds of photography). In 1977 I was released from the Dutch Air Force, thus ending my enlistment which lasted 16 months. I found a job at Amsterdam International Airport Schiphol and have been there ever since (with various employers and in various jobs). Consequently, my interest began to shift from military aviation to civil aviation. 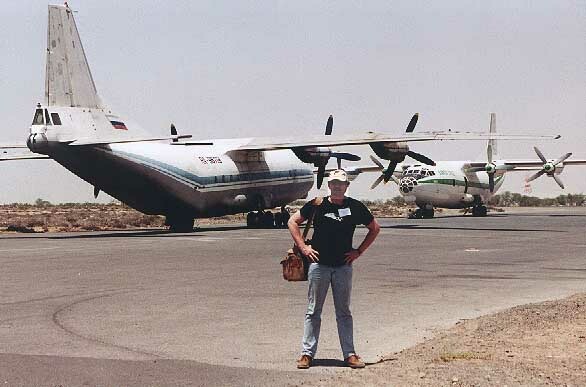 During the early 1990s I became interested in the early stages of the airline industry and thus started to read about vintage propellor transport a.k.a. 'propliners'; and I began to search for them during my travels. It's not that I am just interested in getting the planes on camera, but I also like to research its history, finding out about its 'career', the previous operators and people who played a role.. My interest in history mixes with this research. Over the years I have begun to appreciate more and more the feedback I received from readers relating to a specific operator or even a specific airplane: because they worked with the operator or had a history in some way with the airframe. Thus posting a photo with a detailed history many a page also became a 'human document'. Somewhere in the late-1990s I started photographing modern airliners too, mainly because my son did and together we started to make trips for this purpose. Since history in a general sense is also an interest of mine, I tend to seek the history of aviation in general or airlines and airplanes in particular and this is reflected throughout the aviation content of my website. The intention is to use mainly my own photographic material, though sometimes I find the occasion too much to pass by or friends contribute to something I started. For this I started the gallery Photo by Friends & Guests, which by april 2012 had grown to 32 pages and hundreds of photos. And to 44 pages by dec.2015 (the contributions gradually became less in the past two years, as everybody can post on social media, e.g. on Facebook and Flickr). Health conditions and a shift in interest brought down my time on the personal computer since around 2009, to rather more normal proportions. It allowed to spend time on other interests too. My reading shifted to other subjects (e.g. journalism, media, politics, history), my photography to travel- and street photography, my book collecting to street photography and icons of photography plus various other issues which can also be read on my Blog (since 2009) and flickr account (28Feb2015: 11.570 images uploaded since august 2006). The photographic equipment I have been using over the years include Olympus OM-1, OM-2, OM-4, Nikon FM2 and Canon EOS50E and EOS5. As well as a Mamiya 645S for black & white photography and before that, briefly, a Hasselblad. The medium format camera was sold in 2003 to enable me to buy a Canon 100-400/4.5-5.6L lens, to further improve the quality of the telephoto photography. In 2003 I found myself concluding that printing B&W photos in my darkroom had been replaced by digitally processing my scans and digital images (in 2002 I had bought a Minolta Dimage S404 as a start) in Photoshop on my PC. My interest in travel- and landscape photography, which peaked in the 1980s and early 1990s, grew less; time was increasingly spent with aviation photography, researching individual aircraft histories, collecting 'skytrucks & propliner photobooks' and reading up on aviation pioneers & bushplane aviation in Alaska & Canada, while also updating my database on multi-prop transports. As one can conclude on my interests, it moves around to various subjects, sometimes returns with renewed energy and sometimes to barely a flicker of what it had been. In the previous century I saw some of my aviation photography published in magazines and I dreamed of publishing my work in a book one day. When I started my website in 2000, this website became my 'book'. 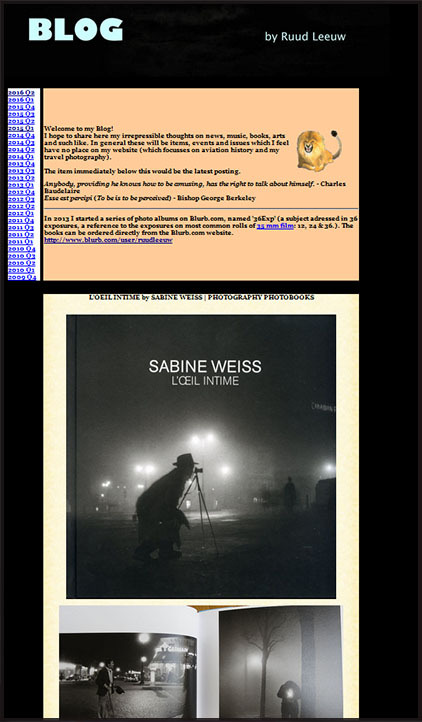 The online exposure again led to some of my photos being published in books, websites, calenders & newsletters produced by others. 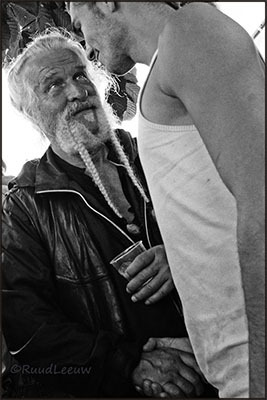 In 2003 I started expanding my website with the photographic fruits of my travels, dating back to 1981. By 2012 this project had been completed, the backlog at least. In Dec.2003 I replaced my (analogue) EOS 50E for a digital Canon 300D; new material took less time to add onto the website, both on the subject of travel as well as aviation. Using digital cameras increased the number of travel images per trip and I found great pleasure in editing the images in Photoshop for online use or for compiling massive photo albums. While shooting in colour I found an increasing pleasure (2015) in converting some of them in B&W. In Dec.2004 I had to update the subscription with my webhost, as the bandwidth did not suffice to deal with the increased number of visits to my website. Shortly before my vacation to Australia, in nov.2005, I was able to buy a Canon EOS 20D; lenses now included the Canon 70-200/f4.5 L and 100-400/4.5 L.
Work on the website (both on the travel- as well as the aviation pages) took more and more of my spare time (the website receiving aprox. 1800 hits on average, each month), and while struggling to keep up, I enjoyed working the digital flow. This photo was made by Fred de Ruiter, on a cold but sunny Saturday morning, in January 2006, at Amsterdam IAP. When I started this website in 2001, I never dreamed the website and all the work that seems to come with it (research both in books as well as online, contributing to fora) would become so dominant in my daily activities. Due to the increase in website traffic I had to leave Bizland.com, which had served me faithfully as a Webhost for so many years; for a brief period I went to Digitalus.nl, which I soon exchanged in 2007 for MidPhase.com. All this to keep up with the bandwidth within a restrictive budget and current on 01Jan17. In June 2007 I noticed, on average, some 90 visitors daily, amounting to over 30.000 'hits' a year. But I never really keep track on visitors to the website, I manage it for my own pleasure. The Canon lens 24-105/f4 L IS USM was bought as an upgrade (replaced by the Mk.II in Dec.2016 and my all-purpose lens). The equipment was carried in a huge Lowepro Pro Trekker AW rucksack, but after a few years I found the bag too big and cumbersome for airline travel. The Sigma 18-50/f2.8 EX DC lens was replaced in 2010 by a Canon EF 10-22/f3.5-4.5. And a Giotto tripod was acquired for that rare occasion when I choose not to compensate low light conditions with a high ISO setting. But this is rarely used as I lack the patience and discipline for the use of a tripod. By end-2007 I had purchased the Canon EOS 40D. 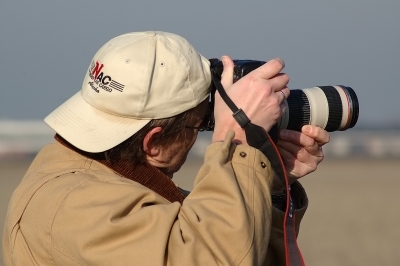 It was replaced by a EOS 50D in 2009, after having taken over 15.000 exposures on the 40D. In Dec.2010 I had myself upgraded to the EOS 7D; since I more or less gave up aircraft spotting in 2009, I sold the 100-400/f4 L lens. In april 2011 I sold my Canon 70-200/f4 L lens and purchased a Tamron SP 70-300mm F4-5.6 Di VC USD, for a better telephoto range. And in april 2012 I swapped the EOS-7D, with the super wide angle 10-22mm lens included in the deal, for a low time EOS 5D Mk.II, for the superior sensor and its quality in low light conditions. Also the idea to carry less equipment (now reduced to a camera and 2 lenses: 24-105mm & 70-300mm) appealed to me. In 2018 I am reconsidering the telephoto lenses agan and sold my Canon 70-300/f4 L lens, but will keep my Tamron 150-600mm. As stated, in 2009 my interest in airliner photography went in decline; other interests, and the goal to be less of a slave to my PC, brought less time spent on the website. It really had grown into a full time job, with long hours! By 2012 modern airliner photography & interest was reduced to nil, but also my activities on classic propliners was much reduced; this due to health reasons and a shift to other interests: sports, reading books on non-aviation subjects, social media, photography of other subjects, etc. I gradually ceased buying books on aviation; for reference there is so much online now and I stopped my collecting bush-flying fiction & non-fiction books. Around 2012 I started collecting photobooks in earnest, from photographers such as Robert Frank, Anton Corbijn, Steve McCurry, Edward Curtiss, Bill Wood, Sam Abell, Arnold Newman, Werner Bischof, Marc Riboud, David Bailey, Annie Leibowitz, Jan Banning & Joost van den Broek. Since 2016 I much more focussed on street photographers, such as Stephen Shore, Joel Meyerowitz, Vivian Mayer, John Margolies, Garry Winogrand, Peter Sekaer, Henri Cartier-Bresson (HCB), Willem Wernsen.. I publish (a.o. subjects) about these books on My Blog. The classic aviation scene was hugely effected by the global economic crisis, set in during 2008, and found aviation companies both with new as well as vintage flying equipment having to cease operating. Preservation societies, museums and other non-profit institutions found their benefactors cutting back on funding, sometimes resulting in bankruptcies. This continued well into 2012, by this time the classic aviation was more or less dead on its feet. In my home country there is hardly any 'propliner action' to be enjoyed (this has also to do with a negative attitude of aviation authorities towards our flying heritage). To illustrate this: in june 2013 I sold my Tamron 70-300mm telezoom and bought instead a Canon 16-35/f2.8 L lens. I no longer owned a telephoto lens! But at the end of 2013 I changed my mind and bought the Canon 70-300 L lens; also traded my EOS 5D2 for a EOS 5D3. But the 24-105/f4 L lens and the 16-35/f4 L lens were mostly used and the telelens is not always carried in my bag on my travels. During 2013 I also bought a compact Canon S110 (able to shoot RAW format) and a hybrid, the Panasonic FZ-200 (both for informal gatherings, or unobtrusive photography / filming). The S110 was upgraded to the S120 in 2015, for I find it an excellent compact & inobtrusive camera. In 2013 I started a series of photo albums on Blurb.com, named '36Exp'(36 Exposures, a reference to the exposures on most common rolls of 35mm film: 12, 24 & 36). More info & link see bottom page. In April 2013 I started with a Tumblr.com page: ruudleeuw.tumblr.com/ But I have to admit I spend far more time on Facebook than on (e.g.) Tumblr. By end-2013 I bought a demo ('open box') model EOS 5D3 camera. Probably the last big DSLR I will purchase. For wildlife photography (whale watching & a visit to Yellowstone NP) I purchased the Tamron 150-600/5.0-6.3 Di VC USD. Ridiculous really, as the Canon 70-300 L lens was hardly used; I really need to evaluate which one to keep (the Tamron has 'range', but is a heavy canon to drag along while travelling). In the end I kept both because the long Tanrom lens is ideal for air shows while the Canon is fine for music converts (and 'when in doubt whether to take a long lens with me). In 2015 I bought a 24-70/f4 L lens, because in reviews I'd read it outperformed my 24-105/f4 L lens. But I was not immediately convinced and sold it in Dec.2015 to find budget for acquiring the new 24-105/f4 L lens, the Mk.II. The digital DSLR's (starting with the EOS40D), with its feature to be able to shoot in low-light conditions (using ISO 3200+) made me take off with concert photography, for the singer/songwriter concerts I like to go to. I did find that some venues started to object to my professional equipment and this made me tend to avoid the Heineken Music Hall and Oosterport Groningen (though the hybrid Pana FZ200 gets no objection and offers an alternative for these venues). In the last quarter of 2016 I found a singersongwriter objecting to my photography and filming (published on YouTube) and venues, Paradiso and North Sea Jazz Club (both in Amsterdam), restricting my photography; they seem to prefer people recording on crappy smartphones than some enthusiast with proper gear! This really messed with my enthusiasm and ceased (temporarily?) soon after. Due personal circumstance 2013-2015 I found myself visiting less music venues, but it was great to implement this interest into my Texas 2015 trip. In 2016 I found little opportunity to enjoy radial-engined transports 'live', but people continue to write and contribute to the website, for which I am grateful. In Dec.2016 I swapped the Fuji X100T, which I never grew on me, for the Panasonic Lumix G (DMC-GX80). It's great fun. At the start of 2017 I looked back on 2016 and noted there had been no travels for the purpose of any sort of aviation. More importantly I found my trip to Scotland filled with frustration and a brief trip to Paris (France) even a complete failure for similar reasons. There is a growing sense of a choice: to pick myself up by my bootstraps or reinvent my goals in life. In 2017 my USA SW trip was the most perfect combination of travel, photography, aviation and meeting people! The hybrid Pana FZ200 was replaced in 2017 by a Canon SX60 and in Jan.2018 I bought a Sony RX10M3. These cameras have replaced my Canon 70-300 L lens while I hang on to the Tamron 150-600mm. In 2017 I also bought a Zeiss Distagon T* 35mm/f2 manual focus lens for my EOS 5D3. In 2018 I started getting rid of my early aviation reference books (a tribute HERE..). We still have to see where this will all take me, my travels, my photography and my website! In Jan.2019 I bought a Canon SX70hs and an EOS 77D DSLR. The latter replaces a secondhand 7D I acquired a year ago for a developing taste in birds photography, going for the 1.6x enlargement on my telelenses (bought it with a Canon 400mm/L lens) for the crop factor. The EOS 7D is too big and heavy to take with me, next to my EOS 5D3, on travels where I want to visit Bird Refuges and such. The SX70 is smaller and lighter (608gr vs 1051gr) than the Sony RX10M3 plus it has much more zoom range (1365mm vs 600mm). It also has a 'Fully Articulated Screen' while the RX10 Mk.III only has a tilting screen. The SX70 is less than half the price of the RX10M3. Both have a 20MP - 1/2.3 BSI-CMOS Sensor. The SX70 has a very plastic feel, the RX10M3 a nicer feel and grip. The performance of the maximum zoom on the SX70hs will be a deciding factor in comparison to the RX10 and the EOS 77D with either the Canon 400/L or the Tamron 150-600 lens. The RX10 has a manual focus adjustment on it which the SX70 has not, but handling it is a problem for me. It seems this has been improved on the RX10 Mk.IV but that one is 4x the price of the SX70 (and still 'only' 600mm zoom range). De 77D has a much better focussing system than the RX10M3 and SX70: phase detection versus contrast detection. For birds in trees or shrubbery the contrast detection is useless. I still have the Canon SX120 for pocket-size use and the Panasonic DMC-80GX (in US as DMC-85GX) for streetphotography and inside museums and photo galleries. And of course the EOS 5D3 for travel photography (the RX10M3 falls short in comparison, view handling mostly). The Zeiss 35mm lens seems overcomplete now, since this range is covered by the Canon 24-105mm L lens, the pocket S120, Pana Lumix G and the bridge cameras SX70 and RX10M3. The surplus of quality of the Zeiss lens is not found in the output I have online. The above musings are indicative for my erratic 'compass' considering my hobbies: a waning interest in aviation photography and in continued search of other interests that would involve photography, while trying to keep the camera backpack as light as possible! The RX10 III was replaced by a Sony RX10 IV in march 2019; I also traded the Zeiss 35mm in with this deal. 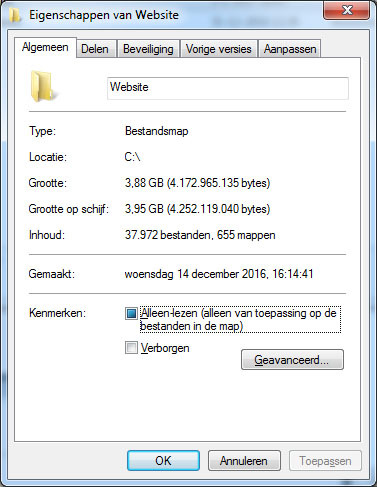 The size of RuudLeeuw.com per 03Jan2017: 37.972 data files in 655 folders. Whatever that means. A few years ago I counted some 800 seperate webpages. In 2016, on 3 seperate accasions, I was confronted with limitations and other frustration by the venues I used to frequent. I decided to stop with this activity. My channel on YouTube: www.youtube.com/user/DutchSimba - note that when I stopped visiting music concerts, the videos ceased too. In 2013 I started a series of photo albums on Blurb.com, named '36Exp'(36 Exposures, a reference to the exposures on most common rolls of 35mm film: 12, 24 & 36.). The books can be ordered directly from the Blurb.com website. They have also been made available with Amazon.com. 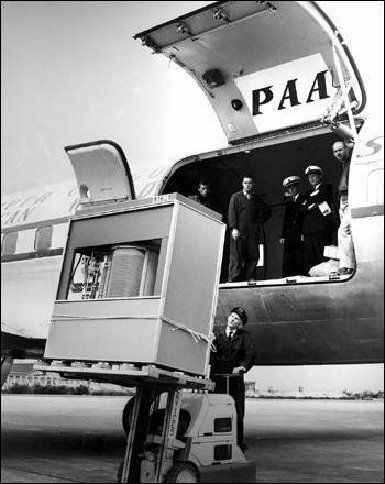 In September 1956 IBM launched the 305 RAMAC, the first computer with a hard disk drive ( HDD). The HDD weighed over a ton and stored 5MB of data." ROCHESTER, New York -- Eastman Kodak Co. is retiring its most senior film, the iconic Kodachrome, because of declining demand in this digital age. Kodachrome was introduced in 1935 and became the world's first commercially successful colour film. It had its heyday in the 1950s and '60s and Paul Simon immortalized it in song when he crooned, "Mama don't take my Kodachrome away" in 1973. But sales of the unique film are now just a fraction of one per cent of Kodak's still-picture film sales and only Dwayne's Photo in Parsons, Kansas still processes it. Kodak says the decision to discontinue Kodachrome was difficult but necessary. The company says it plans to stay in the film business as long as it can and has introduced several new films in the last few years. By 2012 Kodak Eastman itself was fighting for its existence, becoming a niche operator rather than a force to be reckoned with. Another big name missing out on the ever changing world we live in.
? How many times had I been to North America ? That would make it 30 times! This concerns only vacation travel, no business trips included. were others to consider too. See also my entire Travel Index and link to the non-aviation travel reports I compiled of those trips. It would not be wrong to speak of people having a compulsion to photograph: to turn experience itself into a way of seeing. Ultimately, having an experience becomes identical with taking a photograph.